WelCom November 2017: The Solemnity of Our Lord Jesus Christ, King of the Universe, the final Sunday of the Liturgical year, is a feast day that focuses on the authority of Christ. The earliest date on which this feast can occur is 20 November and the latest is 26 November. This year, it is on Sunday 26 November. The Solemnity of Our Lord Jesus Christ, also referred to as the Feast of Christ the King, or Christ the King Sunday, was added to the liturgical calendar in 1925. Pope Pius XI instituted this feast day in his encyclical letter Quas primas of 1925 in response to growing secularism and emerging dictatorships in Europe and beyond during the first part of the 20th century. Christ had long been referred to as King, but Pope Pius saw the respect and reverence for Christ’s authority waning in the midst of the unrest at that time. The feast was set to reaffirm and refocus faith and respect in the kingship of Christ. An important part of the pope’s Quas primas document was his repetition of the point that the kingdom of Christ embraces the whole of mankind, not only at the end of time but from the beginning of time and also now, in the hearts of all women and men. 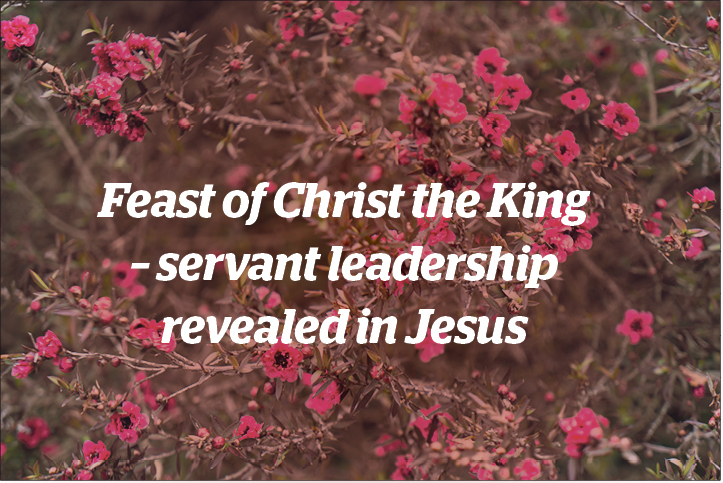 Inherent in this kingship is servant leadership so clearly revealed in Jesus. The feast was initially fixed to the final day of October, the day before All Saints Day. In 1969, Pope Paul VI moved it to the final Sunday of Ordinary Time – the last Sunday before Advent, to emphasise the feast’s importance. The inspiration for Pope Pius XI to establish this feast during the 1920s, and his message and call to honour Christ the King of the Universe, is as relevant now as it was then. The Feast of Christ the King is a hopeful message for today and every day.